Zero VAT Item. 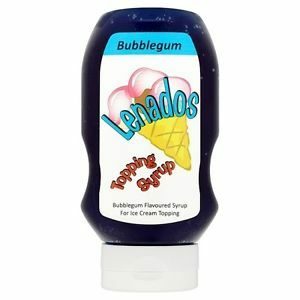 - This 585g squeezy bottle of Lenados Bubblegum topping sauce is also available in 5 litre drum for refilling. There are 7 delicious flavours to choose from. Zero VAT Item. - This 5 litre drum of Bubblegum topping sauce is also available in a convenient 585g squeezy bottle. There are 7 delicious flavours to choose from. Zero VAT Item. 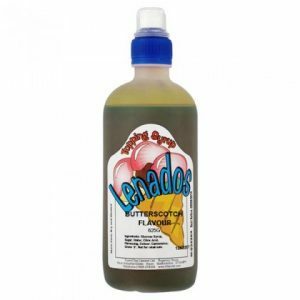 - This 585g squeezy bottle of Lenados Butterscotch topping sauce is also available in 5 litre drum for refilling. There are 7 delicious flavours to choose from. Zero VAT Item. - This 5 litre drum of Butterscotch topping sauce is also available in a convenient 585g squeezy bottle. There are 7 delicious flavours to choose from. Zero VAT Item. 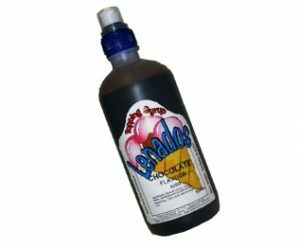 - This 585g squeezy bottle of Lenados Chocolate topping sauce is also available in 5 litre drum for refilling. There are 7 delicious flavours to choose from. Zero VAT Item. - This 5 litre drum of Chocolate topping sauce is also available in a convenient 585g squeezy bottle. There are 7 delicious flavours to choose from. Zero VAT Item. - This 585g squeezy bottle of Lenados Lime topping sauce is also available in a 5 litre drum for refilling. There are 7 delicious flavours to choose from. Zero VAT Item. - This 5 litre drum of Lime topping sauce is also available in a convenient 585g squeezy bottle. There are 7 delicious flavours to choose from. Zero VAT Item. 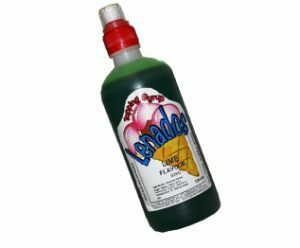 - This 585g squeezy bottle of Lenados Mint topping sauce. There are 7 delicious flavours to choose from. Zero VAT Item. 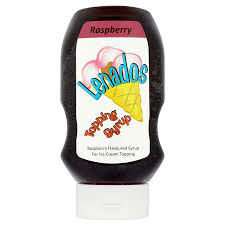 - This 585g squeezy bottle of Lenados Raspberry topping sauce is also available in a 5 litre drum for refilling. There are 7 delicious flavours to choose from. Zero VAT Item. - This 5 litre drum of Raspberry topping sauce is also available in a convenient 585g squeezy bottle. There are 7 delicious flavours to choose from. Zero VAT Item. 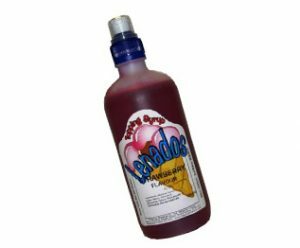 - This 585g squeezy bottle of Lenados strawberry topping sauce is also available in a 5 litre drum for refilling. There are 7 delicious flavours to choose from. Zero VAT Item. - This 5 litre drum of Strawberry topping sauce is also available in a convenient 585g squeezy bottle. There are 7 delicious flavours to choose from.